Armenia, an Armenian company has prepared such a latest and modern wallet, which is safe and it is also added with alarm and hidden camera and also added with latest technology of tracker. 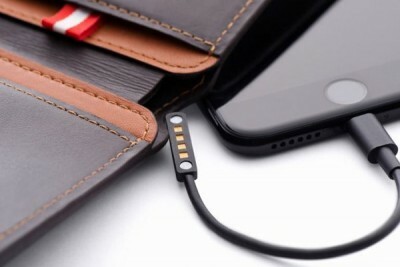 This wallet has been designed to save from the stealing and being misplaced. Volterman is the Armenian company, which has designed this wallet and the person other than owner opens it then camera makes its photo and sends his photo to his owner. 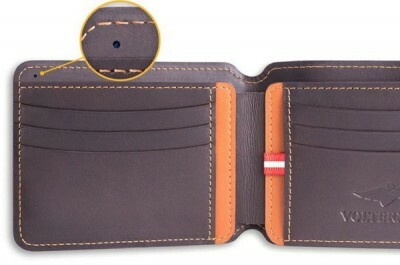 This small wallet is made up of the leather and it is masterpiece of technology. It is equipped with 512 MB RAM, power bank, hidden camera, GS tracker, alarm, RFID tracker and Wi-Fi searching system and you can charge the mobile phone with the power bank. When you connect your mobile phone with wallet and you go away from the wallet, it will inform you by giving signal on your mobile phone. If you forget your phone or go away from it, then it will give the alarm on your phone. You will use the global GPS tracker to look for you all over the world. You will also use RFID system for your credit card and passport and the stealing and cloning is also possible because smart RID system of wallet protects this process. 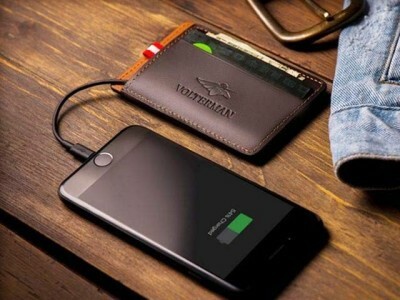 This wallet has a power bank, which has the capacity from 2000 to 5000 mAh and it provides the wireless charging facility for the smart phone. It is added with Wi-Fi hot spot system to give the Wi-Fi facility in about 98 countries of the world at the ten times less rate. The front camera is installed in it to make the picture and sends to its original owner. It gives the best solution of the protection of the wallet. The company has fixed the rate of this wallet is $145 or PKR 15,000. Volterman has decided for the internet crowd funding of this unique and innovative invention and they wanted to collect 45,000 dollars but they have collected 7 lakhs dollars 6 days before closing of their deadline. It is expected that the provision of the wallet will be started from December this year.